Knitting Iris: "The Gathering In"
Updated thoughts at end of post, several days later. ...Four months of each summer were spent in our small boat up the long and indented coast of British Columbia, but the focal point of our lives was Little House in the middle of the forest. The central point or focus of Little House was the big stone fireplace in the corner of the living room -- and the word hearth and focus both have the same meaning -- the place of the fire. Each fall when the days got shorter and the nights got colder and the maple lit their warning signals, Little House reached out, gathering us in. We could feel her gently tugging at us across the gulf and up the far coast." 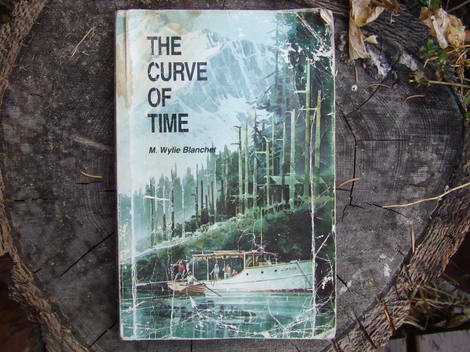 Excerpt is from the book, The Curve of Time, by M. Wylie Blanchet, one that I reread again this fall. 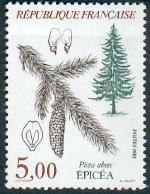 The back cover reads: "A sensitive, adventurous woman and her crew of five children share the excitement of a small boat in large waters. Muriel Wylie Blanchet, 1891-1961, was born and educated near Montreal, and settled, with her husband on Curteis Point, near Sidney, on Vancouver Island. Left a widow with five small children in 1927, she gave them school lessons in winter and coastal cruises in summer." I'm sure at least a couple people out there are familiar with this book, particularly those in Canada. I grew up seeing this book on my parents' bookshelf. My mom has read it several times, even suggesting it and leading her bookgroup's discussion about it. It not only takes me back to our days sailing along the coast when we were kids, it makes me nostalgic for an earlier time, 40-50 years prior when Ms. Blanchet travelled with her own children, and even the times before that which she writes and speculates about, what it would have been like when Vancouver explored those seas, and even before that, before any europeans had been there. I like Ms. Blanchet's honest way of writing. She was curious and knowledgeable and confident and imaginative and yet wrote about her fears and concerns as a mother in a humorous and quite contemporary way. She learned with her children. She came home from a summer of adventures and explorations with her children and spent the winters teaching them at home. The fact that she was using a a 1885 Encyclopaedia Brittanica in the 1930's makes me feel better about the 1989 World Book Encycopedia set we recently received from a friend who's four children were homeschooled and now are all grown. What I would give to meet the children of M. Wylie Blanchet and hear their versions of their adventures with their mother! According to this, they have all passed away. Homeschooling parents, you might enjoy this book as long as you can tolerate the descriptions of all the places that they travelled, something I personally liked because I'm familiar with the area and many of the places. This book inspires me to get out there, go places, and take risks I might not have. So, I guess where I was going with this is that our own version of "the gathering in" is "the closing of the door." 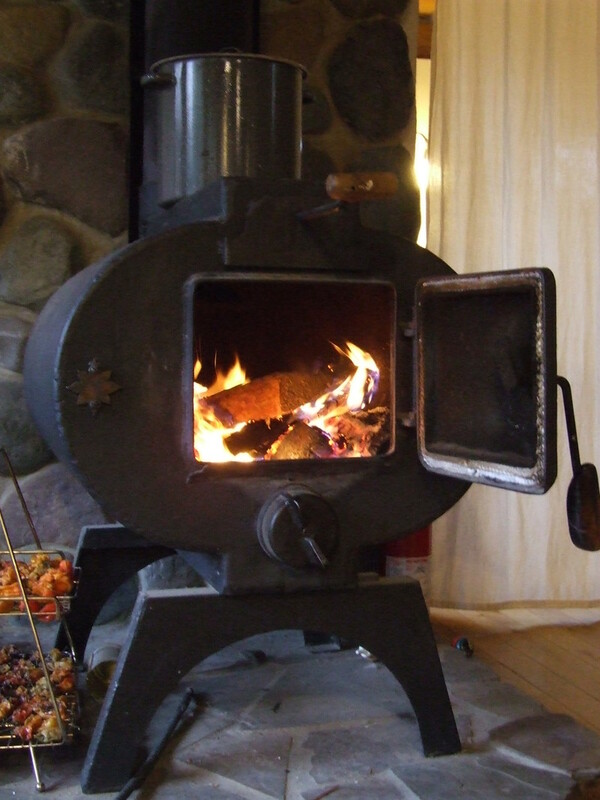 The day inevitably comes that we can't leave the door open at all, that it remains shut not only in the chilly mornings and evenings, and that we light a fire in the woodstove not only in the morning but have to keep it going all day. We've been lucky this year that it didn't come until the middle of October, and we've had several reprieves where we've been able to open the door for the day again. 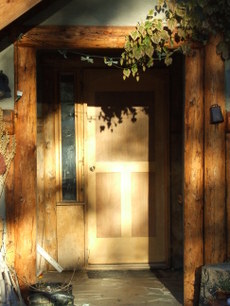 "The closing of the door" is usually difficult for me, especially since having children. This year, it's been more of a relief. I'm enjoying the idea of settling in, having more scheduled, less scattered days, more time spent together at a slower pace, not always on the run. Despite last week's illnesses which deprived us of some beautiful days, we've enjoyed the incredible fall we've had to the fullest, spending as much time outdoors as possible. Besides, it's not over yet. The sky is blue and clear today. We're on the mend still, sleeping 10 hour nights, eating well. There's plenty of knitting and crafting to share soon. And in case you're wondering, those are habañeros drying by the woodstove. We dry them and grind them into a powdery "shake" for C and I to sprinkle on food to spice things up since the boys don't tolerate spicy foods very well. It helps to ward off the germs, as well. Some of the things we saw, learned about, and discussed this summer while sailing in the San Juan Islands with my parents. One of the more perfect hands-on homeschooling environments, then and now.